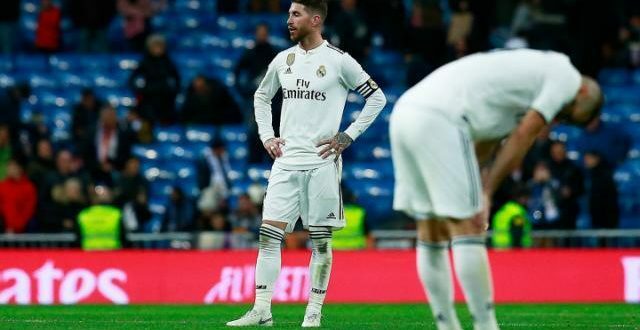 Real Madrid captain Sergio Ramos was scathing of the refereeing in his team’s shock loss at home to Real Sociedad, labelling the official’s performance as “scandalous”. Madrid lost further ground in the La Liga title race following Sunday’s 2-0 defeat against visiting Sociedad at the Santiago Bernabeu, where Vinicius Junior was denied a penalty and Lucas Vazquez saw red. Vazquez was shown a second yellow card with Madrid trailing 1-0 in the second half before Vinicius went to ground after seeming to beat Sociedad goalkeeper Geronimo Rulli to the ball. Ramos did not hide his disgust post-match, hitting out at Spanish referee Jose Munuera and the lack of VAR used in the capital. “The referee played a big role in things. I’ve always defended the VAR system, but it has to be improved because what we’ve seen was scandalous,” Ramos said. 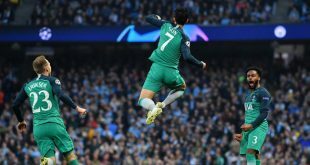 “He could have awarded the penalty and then consulted the VAR. After seeing the penalty incidents in the dressing room, all we ask for is fairness. There are times when we’re punished for our behaviour on the pitch and the referees’ committee should do the same with the officials. The VAR is in place but you’ve got to know how to use it and consult it. “We’re motivated and fighting for a LaLiga title that’ll be tough and it’s made all the more difficult when things like this happen. When you’re out there on the pitch it’s so much more difficult because your heart is racing. As the team captain, I always try and help the referees, but tonight’s performance was scandalous. 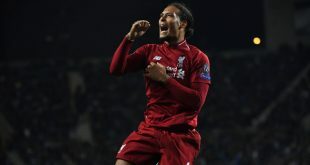 Madrid had the chance to move level on points with third-placed Sevilla, who drew 1-1 at home to Atletico Madrid, but goals from Willian Jose and Ruben Pardo left the Champions League holders languishing in fifth and 10 points off the pace. “It upsets all of our plans,” Ramos added. “We would have liked to have got the year off to a good start, but it’s not turned out that way. We’re going through a bad spell. The team performed well in spells but we lacked that cutting edge and luck in front of goal and had we had it, we’d be reflecting on a different result right now. “We’ve been through a lot of tough times and this is another such spell. We’ve got to look at ourselves. It’s all about performing as best we can and being clinical, particularly because football is all about the results. “You go through periods in football where everything goes for you and right now nothing is going our way. Sometimes the woodwork gets in the way and at others you’re not creating the chances… We can’t blame the referee for the result, although he had a defining role, but we’ve also got to look at ourselves.